For a long time, drinking coffee has become an indispensable habit of Vietnamese people. Coffee is considered the culinary culture of Vietnam. Here are top 5 best Coffee shops in Hanoi. Giang Café is a charming place hidden in the narrow streets of Hanoi’s old city. The architectural style of the place reflects an auspicious blend of Western and Asian influences. The café is famous for its egg coffee, surprisingly delicious and resembling a tiramisu in taste. This is a great place to relax, enjoy some music and have a cup of coffee or, alternatively, a hot egg chocolate. In the narrow, cobbled streets of Hanoi’s old quarter lies a hidden gem, Café Pho Co. The café offers its customers a selection of Vietnamese coffee blends that will suit all different tastes. The freshest coffee beans are brewed to create outstanding cups of coffee characterized by the coffee’s strong, flavorful aroma. 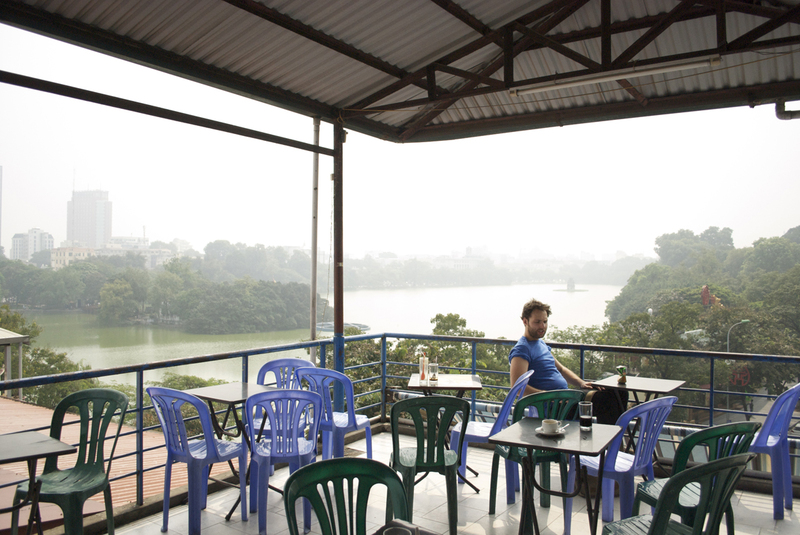 From the rooftop of Café Pho Co the picturesque views of the Hoan Kiem Lake spread wide and far. This is a great place to relax with a quality cup of coffee. Located near St.Joseph Cathedral, Indigenous is more of a shop than a café. However, here customers can brew their own coffee in the coffee machine and then sit outside the shop to enjoy it. Many people go to Indigenous to enjoy their drinks since their coffee is known for its good quality. They use some of the best coffee beans grown by local and indigenous coffee farmers. From Indigenous you can also enjoy the spectacular views of the cathedral. Tucked away in a cozy corner, not far from Long Bien Bridge, lies the small Café Nhi, a lovely place that tends to be so busy that customers sometimes can be found standing on the pavement outside. They serve espresso-based coffee drinks, silky textured lattes and indigenous Vietnamese filter coffees. Their coffee is thick and tasty. This is a great place to go for a chat with a friend over a cup of coffee and watch people walk by while sipping on the caffeinated treat. Address and telephone number: 72 Phu Lo, Soc Son, Hanoi, Vietnam, +84 90 488 83 655. 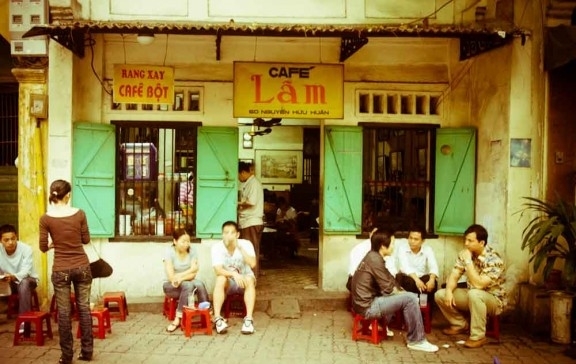 Located near the city centre, the famous Café Lam is one of the oldest cafés in Hanoi, which makes it almost a historical monument. The charming atmosphere of this old café is complemented by antique pieces, art collections and rare books tucked away at every corner. Apart from the unique environment that takes customers back in time, great Vietnamese-style hot and ice coffee is served, with thick condensed milk. The café can boast of having many faithful regulars.